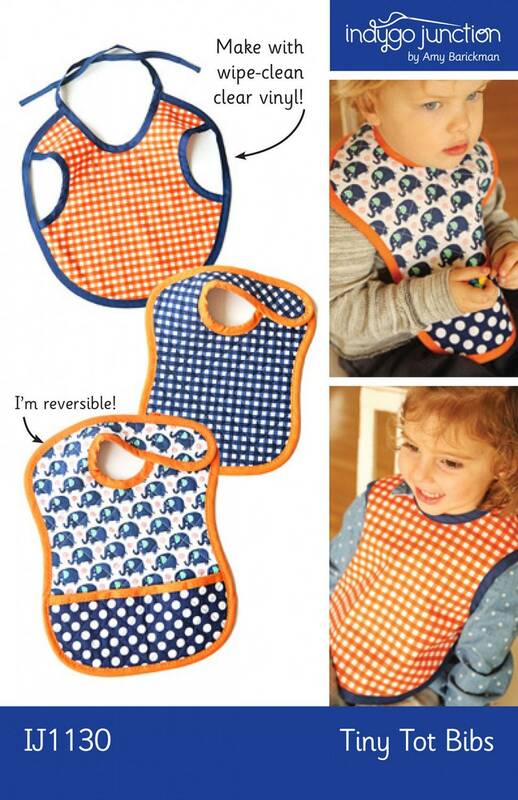 From Amy Barickman of Indygo Junction comes this cute and reversible bib to protect your little one's clothing! 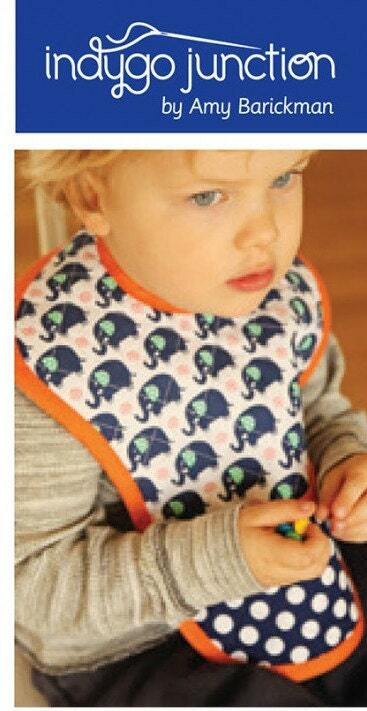 It features two classical styles of bib. 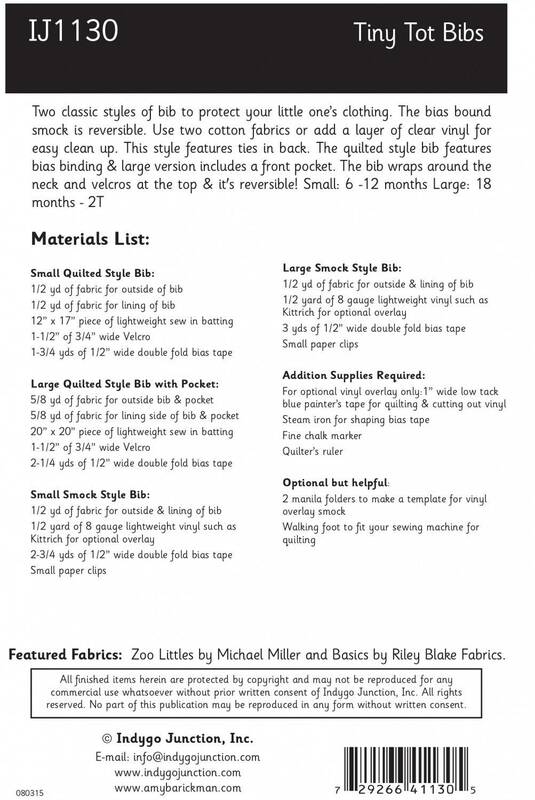 The pattern will include instructions for a small: 6-12 months and a large: 18 months-2T.